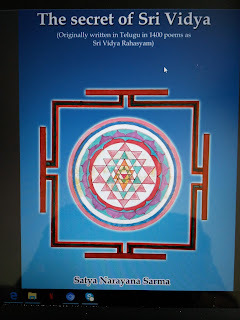 There has been a persistent demand for the English translation of my Telugu work - 'Sri Vidya Rahasyam'. We all waited for that day and today is the blessed day. 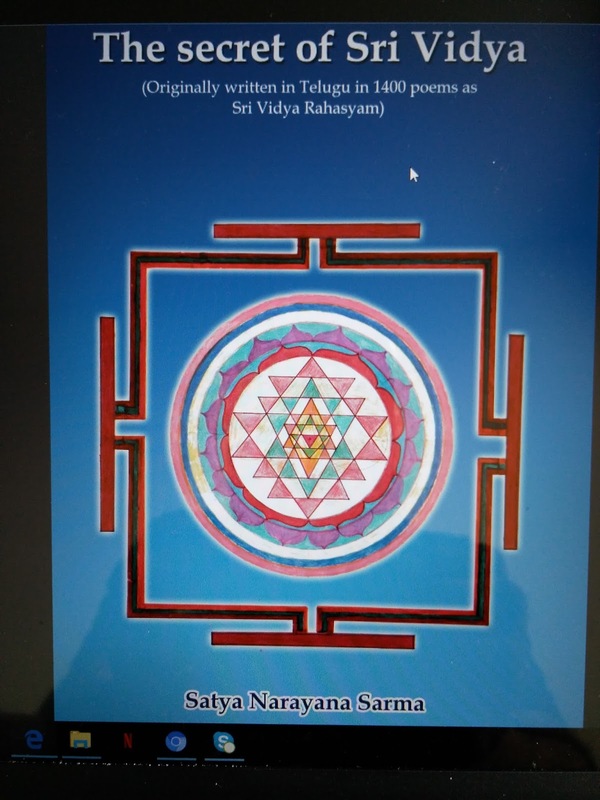 Today I am releasing it under the title - 'Secret of Sri Vidya'. Originally I thought of getting the Telugu work translated into English with the help of a good translator. Finally, I did it myself, to avoid the original ideas of the book getting lost in translation. The E book can be had from the following link. Print book will be released once I return from USA to India in the month of July.